Researching self-regulated learning (SRL) as a process that evolves across multiple episodes of studying poses large methodological challenges. 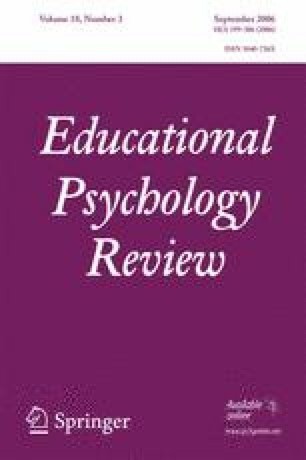 While self-report data provide useful information about learners’ perceptions of learning, these data are not reliable indicators of studying tactics learners actually use while studying, especially when learners are young children. We argue that self-reports about SRL need to be augmented by fine-grained traces that are records of learners’ actual activities as they study. We describe how gStudy software unobtrusively collects detailed trace data about learners’ use of study tactics as they engage with content presented in learning kits—collections of documents (e.g., texts, graphics, video clips) and tasks (e.g., notes, concept maps) on which learners operate to study. We suggest that trace data can advance research about how learners select, monitor, assemble, rehearse, and translate information to learn it, and provide raw materials for mapping SRL and its effects. Examples from the Life Cycles Learning Kit that supports grade 1 students learning about the life cycles of humans and frogs are given. Support for this research was provided by grants to Nancy E. Perry and Philip H. Winne from the Social Sciences and Humanities Research Council of Canada (410-2002-1024, 410-2002-1787 and 512-2003-1012), the Canada Research Chair program, and Simon Fraser University. The authors wish to thank Carolyn Thauberger and Ken MacAllister for their contributions to the development of the Frog Life Cycles Learning Kit.